A Black Church's Dilemma: Preserve A Building, Or Our Identity? Centennial Baptist Church in Helena, Ark., has deep roots in the African-American community. But poverty and other concerns in this Delta town have made raising restoration funds difficult. The towers framing the majestic roof of Centennial Baptist Church reach for the heavens near downtown Helena, Ark. The elaborate red brick church stands out in a neighborhood that's seen better days, given the boarded-up homes and businesses nearby. 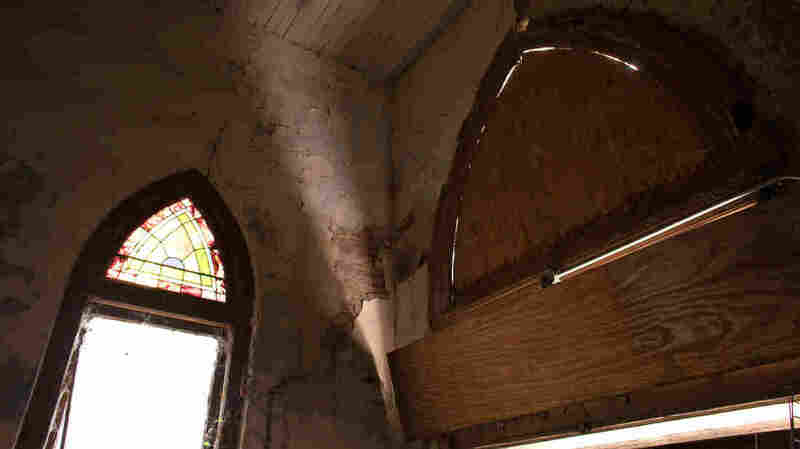 But a closer look reveals that the century-old church has seen better days, as well. Bricks are breaking apart and falling away and a huge metal structure abuts the back wall. Heritage tourism is a growing industry across the South, as civil rights pilgrimages take note of historic sites like the restored Lorraine Motel in Memphis, Tenn., where Rev. Martin Luther King Jr. was killed. Centennial Baptist Church in Helena, Ark. But in smaller towns like Helena, finding the resources to save lesser-known landmarks is a challenge. 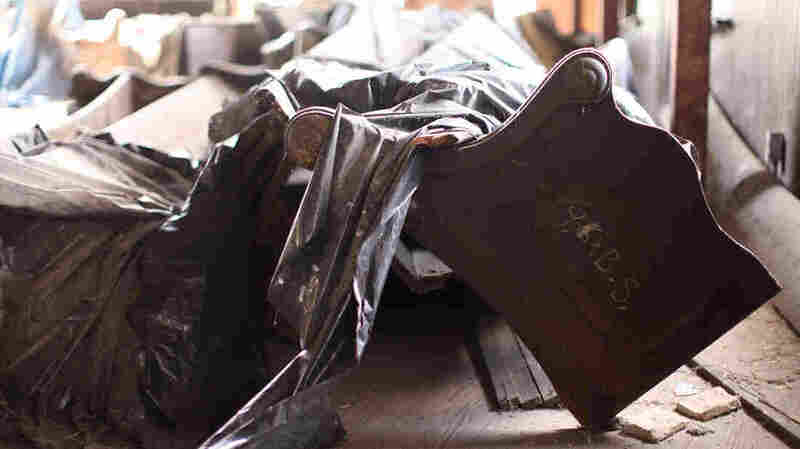 Inside Centennial Baptist, pigeons roost along the hardwood floors and pews where parishioners once worshiped. Beer and whiskey bottles litter a corner and scaffolding holds up the high-pitched roof. This isn't just an endangered, beautiful building from the turn of the last century. Centennial Baptist Church is a National Historic Landmark. Phyllis Hammonds, executive director of the foundation that owns Centennial, was baptized and married in this church. She's now carrying on her late mother's mission to save it. "The history is so rich," Hammonds says. "Two former slaves collaborated and built this structure." Those men were a Baptist pastor, Rev. Elias Camp Morris, and Henry James Price, a self-taught architect. Price's grandson, Harold Jefferson, says he was a skilled woodworker by trade. The congregation met in a house in the late 1800s, Jefferson says, until Morris asked Price to build a new, more regal house of worship in 1905. "And Dr. Morris went to Europe and he wanted to find a picture or ... to see about a building that he wanted to bring back to Helena, Ark.," Jefferson, a longtime member of Centennial Baptist, explains. "Grandmother told me that he brought it back and showed it to Price and said, 'Can you fix this like this picture?' 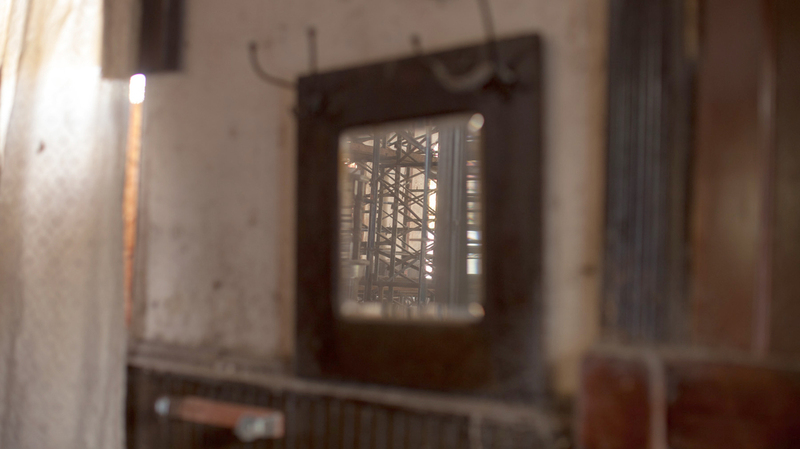 "
A mirror reflects the scaffolding that holds up the interior of the church. Price did, and Centennial became a source of pride for the African-American community in segregated Helena, once a bustling port on the Mississippi River. Historian Bobby Roberts, director of the Central Arkansas Library System, says Centennial is a prime candidate for preservation. Bobby Roberts is director of the Central Arkansas Library System. "One, it is a monumental building just in terms of size," he says. "Two, it is a major piece of African-American history. So it really is a unique structure I think, not only in the Delta, but in Arkansas and in the South." Morris rose to national prominence as the first president of the National Baptist Convention, the largest historically black denomination. Centennial had about 1,000 members when Morris died in 1922. But by the turn of this century, active membership had dwindled to double-digits. Roberts, a Helena native, says that reflects the hard times in the Delta as people left the region to find work. 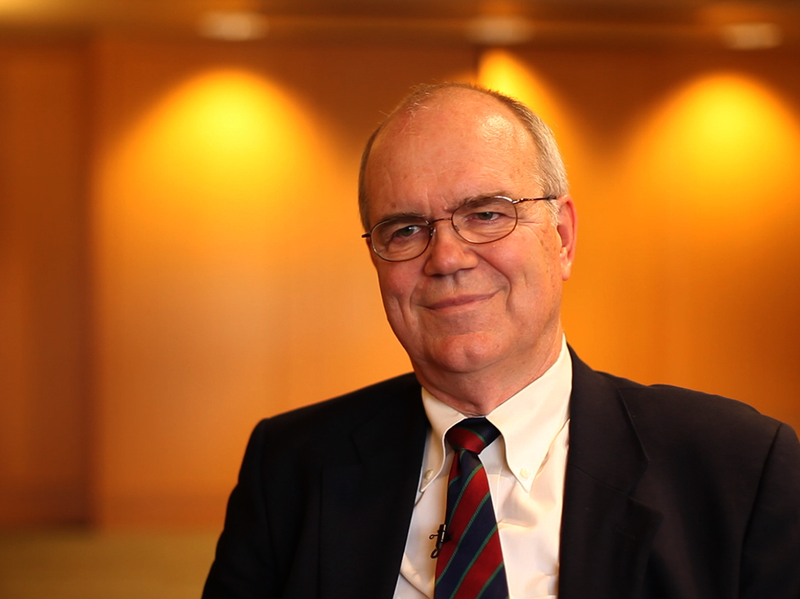 Maintaining the church was an uphill battle for the congregation, he says. "It was too big for them. So they turned it over to a foundation with the idea that the foundation would be able to save the church. And they did protect it." The E.C. Morris Foundation got started with state funding to shore up Centennial in the 1990s. Little Rock architect Tommy Jameson, who drew up the plan, recalls when he first stepped inside. "It was somewhat frightening ... from a structural standpoint. But it was magnificent," he says. "The architecture is incredible. The soaring spaces. It's 40 feet up to the ceiling. It's a wonderful space and incredibility intact — unchanged substantially." Windows are boarded up inside Centennial Baptist Church. 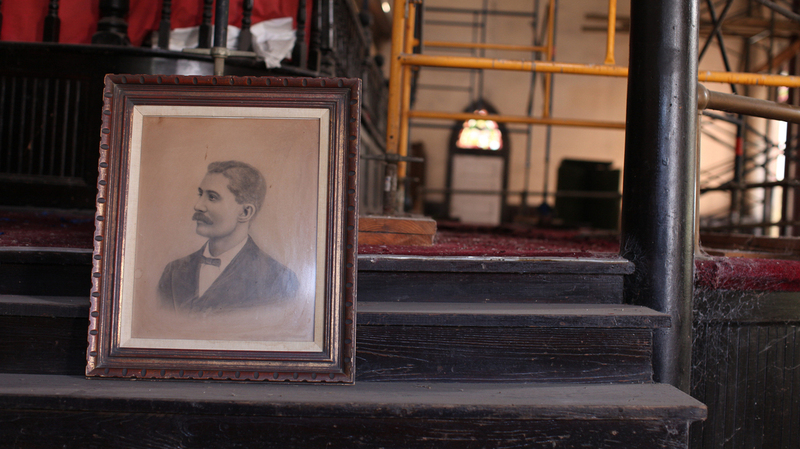 Jameson estimates it will take more than $2 million to restore the church — and the foundation would need even more to operate the cultural center they envision. That's proven to be a daunting amount of money to raise. And in Helena, Hammonds says it's hard to garner support when issues like education, violence and poverty are more pressing. Phyllis Hammonds is executive director of the E. C. Morris Foundation. "People are about surviving," she says. "Many folks don't understand the significance of restoring this facility because they're so busy trying to survive. And I can understand that." But the restoration project has also faltered because of a clash of personalities, and age-old racial mistrust. In 2006, the foundation teamed with local preservationists to win a $300,000 Save America's Treasures grant. But the partnership soured before the required matching funds were met. Hammonds accuses white preservationists of trying to co-opt Centennial's history. "I view it as a plantation mentality: 'You give me the information and we'll tell your story.' "
She objected when a community development bank put conditions on the foundation that she feared would take Centennial out of the hands of black church members. "I would rather see it fall and say, put up a sign, 'Here Centennial stood.' At least we would still be in control." Her group lost the federal grant, and the preservation effort stalled. A portrait of Rev. Elias Camp Morris gathers dust inside the crumbling structure. "Sometimes you have to share a dream to make it a reality," says Cathy Cunningham, a historical development consultant who once worked with the Centennial Foundation. Southword is a collaborative series between NPR and Oxford American magazine, spotlighting the people, places and trends that shape the modern American South. Dave Anderson, filmmaker for Oxford American, teams up with NPR journalists to produce stories about a region that continues to evolve in unexpected ways. 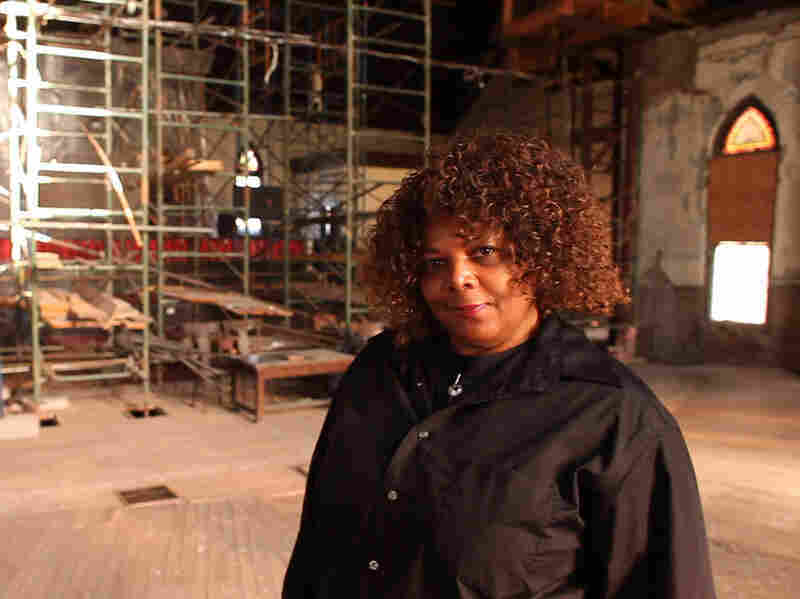 "I don't know of anyone that's trying to take church away," she says. "I would hate to think that the church will fall down. But .. I don't know." The apparent power struggle is frustrating for former church members. Retired educator J.J. Lacey Jr., who was a member of Centennial in the 1960s, says the foundation needs to mend relationships with the local preservationists who have been successful in restoring Helena's Civil War-era landmarks. "They are in the catbird seat, you know, just being blunt about it," Lacey says. "They have the purse strings. We have to give and take." 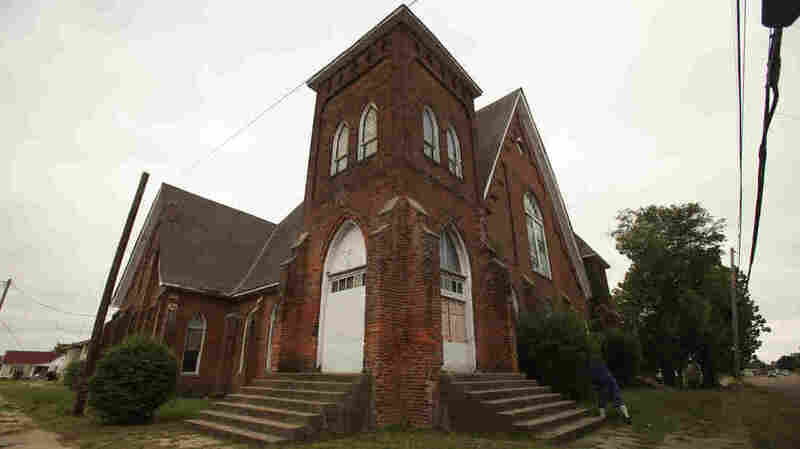 Roberts, the Arkansas historian, agrees, but he says jump-starting the restoration of Centennial Baptist Church means treading touchy historical ground. "The exploitation of African-Americans in the South and in the Delta has been notorious," Robert says. "Even though that's in the distant past, those wounds and hurts I think are still there and there's a feeling of distrust, understandably, I think, if you only look at the past. You have to get over that fear." And a national treasure is at stake in Helena, Roberts says. "Nobody loses if that church gets saved. Everybody loses if it falls down."